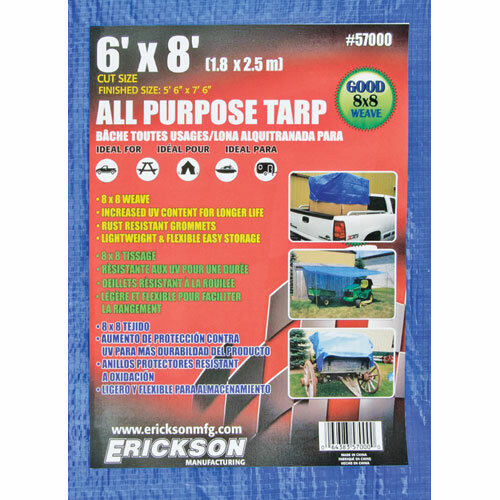 All purpose tarp. Increased UV content for longer life. Rust resistant grommets. Light weight & flexible. Easy to store. 10' x 12'. With our stand-up display carton, the 3 main things the consumer is looking for is colour, size, and thickness. 6' x 8'. Increased UV content for longer life. Rust resistant grommets. Light weight & flexible. Easy to store. 8' X 10'. 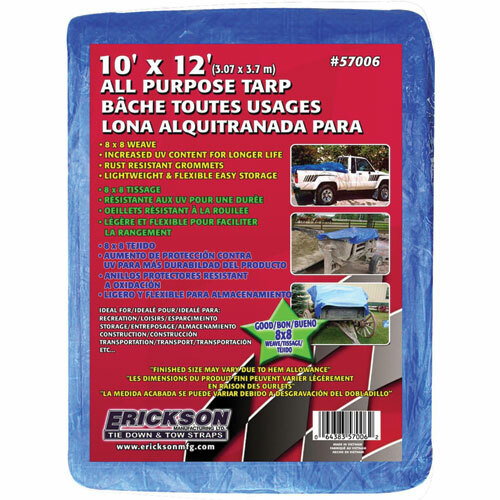 Secures tarp by pinching fabric for firm hold. 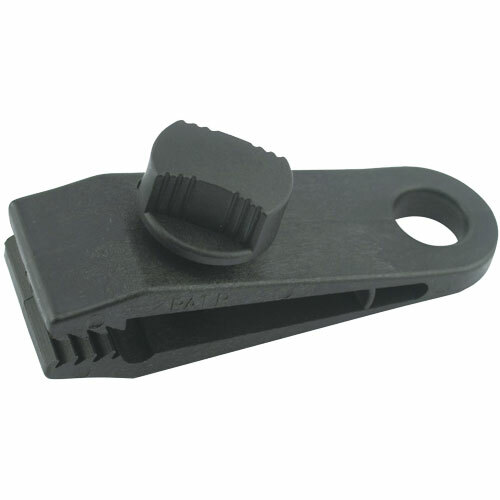 Has a hole at the clip base for hooking into. 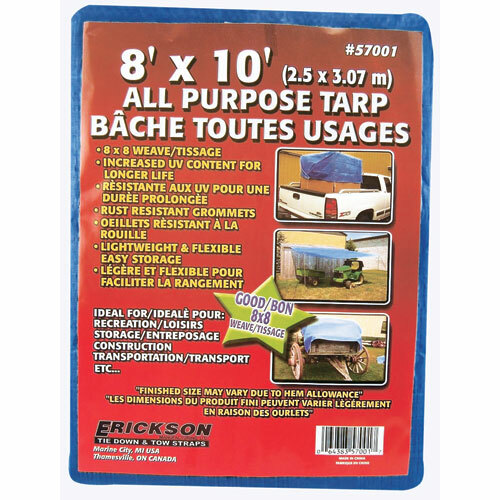 Works on any tarp.